Hello and happy Sunday to you! Today I am here to share my latest Sentimental Sundays card. This week we are sponsored by Heart Song Designs with the them "Anything Goes". If you join CDAC, you can get this free digi here. A sweet image created by Leah. Wishing a blessed day filled with love and hope! This is so cute I adore that snail! Awww, Adorable!!! 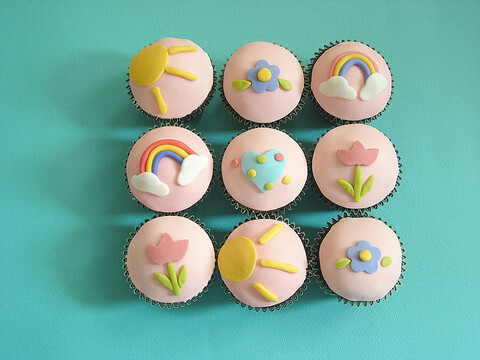 Thanks for playing along at Cupcake Inspirations this week! Lovely card! Love the colors and design! Oh, your card is so very sweet! Love the colors, design, and stamps, and details! Thanks so much for playing along with us at PPA this week. Just adorable!!! Thanks for playing along with our Sentiments Challenge. How cute is this?!! love, love, LOVE it!! Beautiful card. I have that image, you have inspired me to create something! Amy, this is so sweet! I love the paper piecing. Cute card Amy! 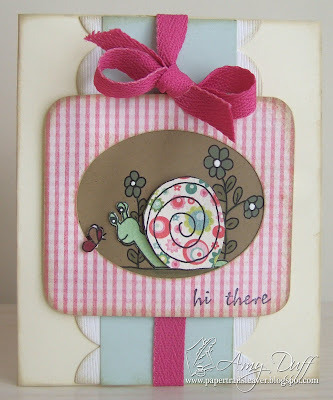 Love the paperpieced snail! this is so sweet! love your paper pieced snail! lovely card! Amy this is sooo sweet. I love the colors you chose and checks always for always make me smile! CVute and beautiful; that snail is adorable and I love your choice of papers; especially the pink :)!! super cute Amy!!! fabby design too! This is just adorable! Love the paper pieced snail! Beautiful colors!! Cute card! The paper pieced snail is a great idea. Thanks so much for joining us for the CES Challenge! Love your work Amy! Just wanted to stop by and say HI and thank you for allowing me to join the Crafty Creations Challenge blog. I am looking forward to it all.